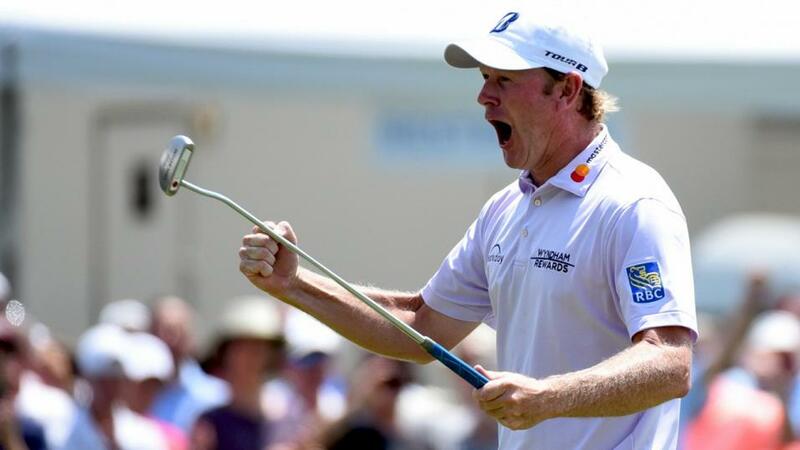 The Punter's In-Play Blog: Snedeker fires a 59 but is he value to go on to win? The second round of the Nordea Masters is well underway and I'm already out of the game. All of my pre-event picks were woeful on day one and I'm yet to get involved in-running. I toyed with backing both Tapio Pulkkanen and Lucas Herbert after the opening round but as yet, I've not made a move. Tournament favourite, Thorbjorn Olesen is currently out on the course an he's making a big move. He's shortening up dramatically but caution is advised given he's played the easier back-nine first. There was a distinct difference between the two nines yesterday and that needs to be taken in to account if you're planning to trade in-running. The tougher front nine was played in an average of 37.1 strokes yesterday, 1.71 strokes over-par, whereas the back-nine averaged 33.6, which was 0.4 strokes below it's par of 34. The five hardest holes (seven, one, five, six and nine) are all on the front side and holes two and three are the only respite. Olesen's clearly the man to beat now but be careful about siding with him after the third hole (his 12th), as it's a tough stretch after that. Over at the Wyndham Championship, one of my pre-event picks, Ollie Schniederjans, has fared ok, opening up the tournament with a very useful six-under-par 64 but he's going to have to keep the pedal down after Brandt Snedeker shot the PGA Tour's tenth sub-60 round when he sunk this putt on the par four ninth. It's going to be interesting to see how Sneds fares now. It's obviously going to be hard to follow up a round like that today and he's certainly not for me at less than 2/1, although the PGA Tour stats suggest he's not too short. Yesterday's heroics have left him four clear at the top so I had a look at how four-stroke first round leaders have fared and on the PGA Tour since 1996, only six players have held such an advantage and two of the six went on to win. However, they were both major champions in red-hot form - Phil Mickelson (around his beloved TPC Scottsdale in 2013) and Jason Day at the BMW Championship in 2015, after he'd won three of his previous five tournaments. When I extended my search of four-stroke first round leaders to include the Web.Com as well as the PGA Tour, it goes from two wins from six to three wins from 12, with only Stephan Jaeger, who opened with a 58, converting (2016 Ellie Mae Classic) and when I included four stroke round one leaders on the European Tour it goes to three wins from 20. As many as eight have led by four on the European Tour and none of them went on to win. One could argue that all that does is provide an example of how much weaker the European Tour is but on the Challenge Tour, the European equivalent of the Web.com Tour, five of the eight players to lead by four after round one went on to win. So, looking at the four main Tours in Europe and America, the total is seven wins from 28. I've gone around the houses somewhat, but all things considered, Snedeker looks a lay at less than 2/1. The Nordea Masters has started and it's live on Sky Sports right now but none of my early starters have begun the event well (preview here). Conditions are soft and preferred lies are in operation so despite a bit of a breeze, the scoring is already good and according to Sky commentator, Jamie Spence, the back-nine is playing easier than the front. I'll take another look at the event at the close of play but I'm kicking off the blog early this week because I've added two more in the Wyndham Championship. I've followed Dave Tindall in on Meen-Whee Kim in the First Round Leader market and I've also backed him in the outright market at [110.0]. The Korean has been playing well of late and that was simply too big. A win in his homeland in June was followed by a decent tied 16th in the John Deere Classic and he was second at the Canadian Open three weeks ago. He missed the cut at the US PGA Championship last week but a disastrously poor out of character first round 75 was followed by a second round 67 so it wasn't an awful effort. Dave has also backed Johnson Wagner to get off to a flier and he's also one of Paul Krishnamurty Find Me A 100 Winner picks so I was more than happy to see he'd drifted to a tasty [170.0].